Mawnin' Loverlies! I received and album from Family Christian to review. 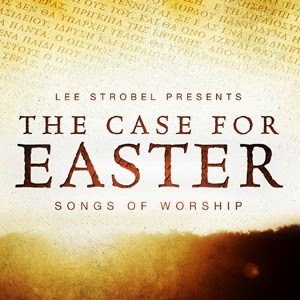 It is called Lee Strobel Presents The Case For Easter Songs Of Worship CD. There are ten worship songs on this album. I love these type of songs, especially when churches use them in their praise in worship service. They are always really easy to speak to me and a lot of these songs are just beautiful to listen to over and over again. This is an album that is great to just have playing in your house while you do your daily chores or while reading etc. The songs are very relaxing and help give a sense of being closer to God and to show your praise for him. I have actually heard some of these songs, and the ones I don't know as well, I find it enjoying to get to know them. I like to learn new worship songs and keep up with what's new. That way I can sing along when I do go to church, and I won't be confused to how the song goes. I am going to be playing this album a lot. It is worth purchasing! Click HERE if you are interested in finding it for purchase. Have a Blessed Day!